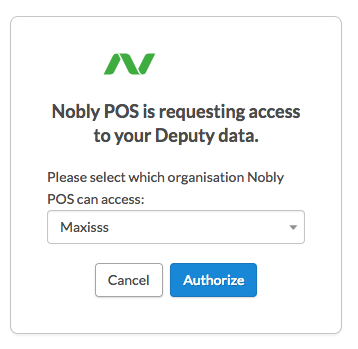 This guide shows you how to connect to Nobly POS and enable time clock. 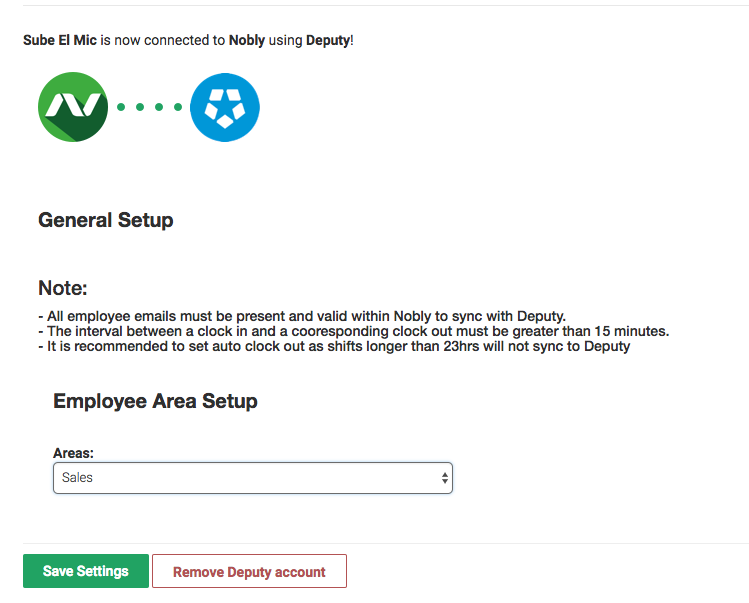 First, log into Nobly and head to Settings > Deputy. From here, click 'Connect to Deputy'. After clicking this, the following authorisation prompt will appear. Select the organisation you would like to connect to, then click 'Authorize'. A confirmation screen will follow. Here, you can select which areas will sync with Deputy. When you are done, click 'Save Settings'. In Nobly, head to 'Settings' > 'Manage Staff'. Ensure that 'Enable Time Clock' is selected. 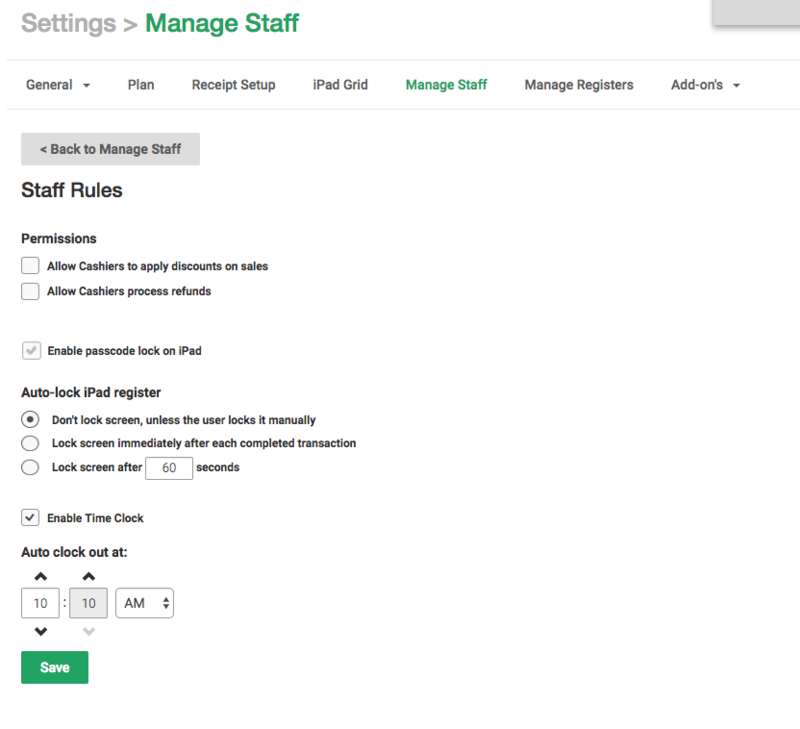 When an employee clocks in and out with the iPad running Nobly, this will create the employee in Deputy. 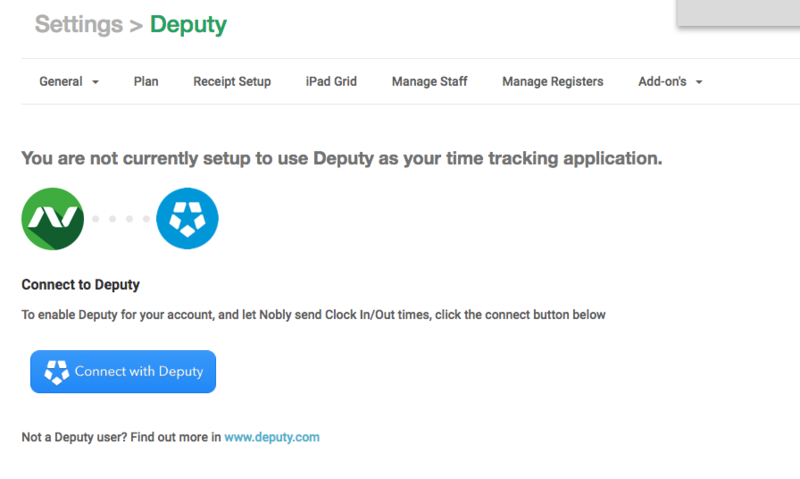 The times used to clock in/out will then be used to create a timesheet in Deputy.